From e-book readers to luxury weekends, if you're an armchair traveller or enjoy road trips, Belinda Jackson has some Christmas gift ideas to suit. 1. 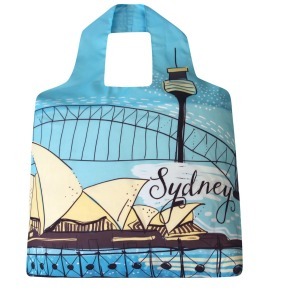 Wear your heart on your sleeve with this smart Sydney shopping bag, which tucks into its own pocket, so you can stash it in your handbag for emergency shopping assistance, $9.99, envirotrend.com.au. 2. Waterproof and dustproof, there's no fear when reading a Kobo Aura H2O e-book by the pool or in the Sahara. It also has a no-glare touchscreen that reads like print on paper, even in direct sunlight, $229, kobo.com. 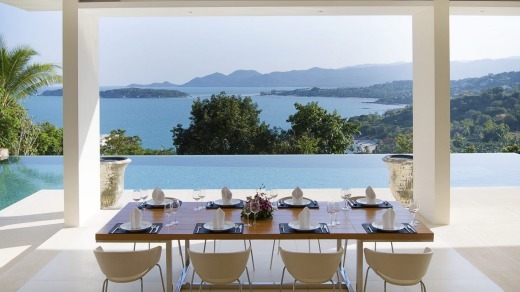 Koh Samui luxe hillside villa estate, Samumjana. 4. 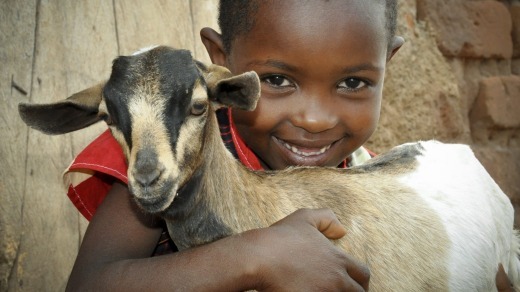 Feel good, make others feel good buying a World Vision gift in their name. Shop online (no postage or wrapping required) to give a child in rural Cambodia some school pencils or hey, buy a family a llama. You know you want to. From $5 to $197, worldvision.com.au/gifts. 5. Recall travels in the subcontinent with the scents and tastes of a Christmas Chai gift pack from Original Chai Co in Melbourne's Queen Vic Markets. Includes traditional clay cups inside a reusable tiffin, $30, originalchaico.com.au. 6. Get the skinny on the best places to visit on the planet, from Transylvania​ to Hawaii. Lonely Planet's Best in Travel 2016 is packed with top 10 lists of best-value destinations, cracking cities and hot hotels, $24.99, lonelyplanet.com/best-in-travel. 1. Record your latest antics above and below water with GoPro's newest camera, the Hero 4 Session. Their smallest camera yet, it's waterproof to 10 metres without additional housing. Also features inbuilt Wi-Fi and Bluetooth for easy sharing, $449.95, gopro.com. 2. Too impatient to fiddle with tent poles? 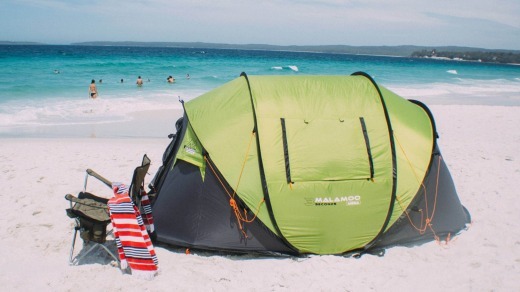 The Malamoo​ tent reckons you'll get it up in three seconds. It pops open like a car sunscreen, and sleeps two, three or even four. The two-person tent weighs three kilograms, from $179.95, oztent.com.au. 3. This Australian-made lightweight hoodie can be worn on or off the bike: it has Dupont Kevlar lining which adds abrasion resistance factor and insulation as well as removable CE approved armour in the back, shoulders and elbows, $249, blackbirdmotorcyclewear.com.au. 4. Pestemals​ (Turkish bath towels) are so hot right now, and for good reason: they're gorgeous, absorbent and lightweight. Made from 100 per cent cotton, they measure 100x180cm, so you're also packing an impromptu picnic blanket, throw or sunshade. From $44.95, kalite.com.au. The Sydney shopping bag tucks into its own pocket. 5. With its reinforced base and water-resistant zips, the new Gear Bag from fishing gear specialists Shimano is at home in the tinny as is on the plane. The bag also zips up neatly into its own little carry case when it's not in use, $42.90, shimanofish.com.au. 6. Go Hawaiian with the new Baby Beach sunglasses, which join Maui Jim's aviator collection. In three colourways including a silver frame with neutral grey lens, pictured, $369, mauijim.com. World Vision supports sponsorship, food security and water, sanitation and hygiene projects. 1. Lash out on lush luggage that will last the distance: the Large Weekender is made in New Zealand from Italian leather so, technically, it's already a good traveller. Measures 56 x 32 x 26.5cm, $1299, roddandgunn.com. 2. 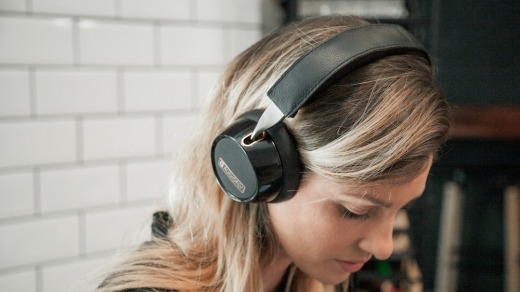 Perth company Audiofly hooked in the big gun DJ Tiesto​ to work with its noise-cancelling headphone design. The AF33 in-ear buds are a budget stocking filler, available in various colours, US$22 ($30), audiofly.com. 3. Sneak away for a luxe weekend with a brace of besties in Koh Samui's​ luxe hillside villa estate, Samujana. Villas range from three to eight bedrooms, each with infinity pools, sea views and direct beach access. From $915 per night, samujana.com. 4. Leave the sand at the beach (not in your car) with this sand-repellent beach blanket. The Lagu is light and compact, allergen-free and dries in the blink of an eye. Comes in a range of bright colours, $50, lagu.com.au. 5. For sheer summer escapism, with a little bit of whodunnit brainwork required, the latest Tony Park thriller, An Empty Coast, is set in Namibia. The Australian writer splits his life between Australia and southern Africa, where he sets his pacey reads, $29.99, macmillan.com. 6. Give the gift of a saucy weekend away anywhere in the world with hotel hounds Mr&Mrs Smith's gift card. It recently voted the Roccia Suite at Bellevue Syrene​, Italy as having the sexiest bedroom in the world. Bonus: the gift cards are the work of London-based fashion designer Roksanda Ilincic, see mrandmrssmith.com. 1. Ladies, your new solemate is the Soludos espadrille. With an eco-friendly jute sole that breathes easily in the heat, they're light, pack easily in the suitcase, and are so on trend right now. Slip on the Smoking Slipper Linen Lavendar, $79.95, iconic.com.au/soludos. 2. Team up with a Shopping Guru and a private chauffeur-driven limousine in Bangkok #nolimits. Anantara Siam Bangkok's Christmas shopping experience whisks you from luxe hotel to fab shopping destinations. Best you make a list, from THB 16,500 ($628), anantara.com. 3. Galavanty natural body care products contain no sulfates or parabens, and the travel-sized tubes come in BPA-free, recyclable packaging. Too good to be true? For every travel kit sold, Galavanty saves 100 metres of ocean through Conservation International, $45, galavanty.com. 4. Wrap yourself in art. Designed by Warlpiri women in the Tanami Desert, the Fire and Rain Sarong is a 100 per cent pure silk chiffon super-sized wrap measuring 110cm x 200cm, $250, mainie.com. 5. 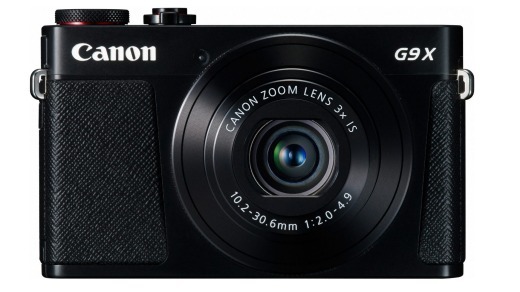 Sparkling new and super-slim, the Canon Powershot G9X's good looks match its great spec. It packs a 20MP spec, a maximum aperture of f/2-4.9 and x3 zoom, yet still fits in your pocket. Available in black, silver or our favourite, timber, $649.95, canon.com. 6. Take a grand tour, straight out of the box. 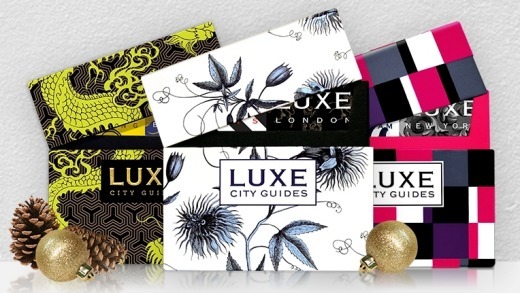 The LUXE World Grand Tour Box will set you straight in 12 towns, from London to LA, with the best eats, spas and shops at your fabulous fingertips, $145, luxecityguides.com/gifts. 1. Thule has been cool since the 1940s, and shows no signs of giving up. The Swedish brand's new 23l daypack packs a 15" laptop as well as a 10.1" tablet pocket and comes with a 25-year warranty. Costs $149.95, see thule.com. The LUXE World Grand Tour Box. 2. Create the ultimate surfboard with Bondi's own Disrupt Surfing. Customise the board to your own shape, up to 6'4", then upload your own photos or designs, which are printed and placed under the board's glass, $699, redballoon.com.au. 3. The 360fly camera captures every moment from every angle and takes your videos in immersive, interactive 360-degree HD video. 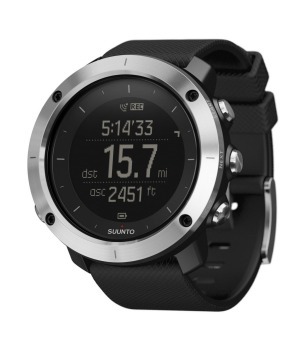 About the size of a tennis ball, it's also waterproof, has built in Wi-Fi and Bluetooth, $649.95, surfstitch.com. 4. The world's first men's active compression underwear, PocJox, has fitted sweat-resistant pockets to hold your mobile phone, card and keys. Designed by Sydney personal trainer Matt Chapman, $59.95/half-short, $139.95/tights, pocjox.com. 6. Australian owned and made, Black Leopard skincare is for the man on the move, and its Snow Leopard Night Bright Serum hydrates your skin, stalling the aging process, while you sleep. And it won't bust your carry-on limits, $35/30ml, blackleopardskincare.com. 1. Get the kids organised and allocate each of them a travel packing cube or two to help rein in wayward toys on driving hols. Also good for or when sharing suitcases, $49.95/four-piece set, zoomlite.com.au. 2. Add a touch of Scandi style to your Christmas babes with this 100 per cent organic cotton baby travel blanket. One side is a smart neutral grey (to go with whatever you're wearing) the other is a monochromatic, seasonal forest print, $75, jasperandeve.com.au. 5. Did you know Father Christmas' private grotto is at Rochers-de-Naye, 2042 metres above Montreux, Switzerland? 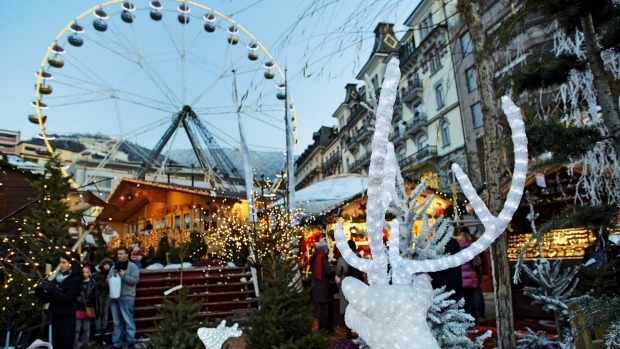 Catch the cogwheel railway up to place your wishes: he's there until he has to zip off on Christmas Eve, myswitzerland.com. 6. Maneaters take over the Australian Reptile Park these school holidays on the NSW Central Coast. Kids can excavate the new dino fossil digging ground, or feed the their cousins, Elvis the 4.5 metre saltwater croc and the American alligators, reptilepark.com.au.